Not everyone wants to spend 4 years, and thousands of dollars, on a business degree. The average Bachelor of Business Administration degree in Toronto can cost upward of $40,000. The price is much higher if you're an international student. And there's certainly no guarantee of a job after graduation. Many business graduates end up returning to school, to earn an MBA, in the hopes of better employment opportunities. While it's true that a university degree can open doors, and is a requirement for some roles—there are plenty of successful business people who never went to university. And if you're on a tight budget, don't want a ton of student debt, and need a flexible training program because you work or have kids, university may simply be out of the question. So, what are your options? For many people, a college business diploma in an excellent alternative. Here are your first 4 steps to finding quality training, and starting your career, without a university degree. Business diplomas are designed to prepare you for the job market quickly. 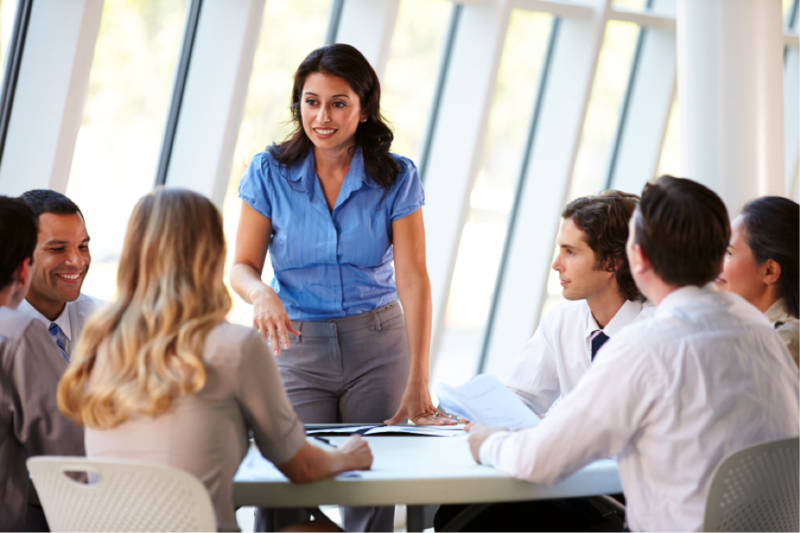 The courses get right to the point, focussing on practical skills you'll need to get hired. Many business programs are just 12 months, or less. University business degrees include a lot of additional theory, research projects, related skills, and required electives. College business training, on the other hand, is about preparing you for entry-level office positions—fast. Colleges research local employers, find out what they're looking for in new office hires, and build their business programs around those specific skills. You learn exactly the right skills to compete for local jobs. From there, you will continue to advance through real work experience—or by taking additional courses, at your own pace. The program should cover all key aspects of business administration and office management. In less than one year, you'll be prepared for several different entry-level jobs, from client services to accounting. A business diploma covers several different skill areas, so you'll have a range of options when applying for jobs. Think about where your interests and natural talents lie. Are you great with people, creative, and have strong writing skills? You could be a good fit for marketing positions. Do you love numbers, analysis, and working quietly on your own? Accounting may be your ideal business career. Maybe you work best under pressure, love a challenge, and are naturally outgoing? You might be perfect for a sales position. Many business grads find work as general office assistants or receptionists. This position is ideal for people who are well-organized, good communicators, and natural problem-solvers. From here, you can move up into an office manager role, or become a supervisor. Or, maybe you have a great idea for a business, and want to become an entrepreneur. You can use your training in business strategy, marketing, sales, and finance to start your own venture. Think about where a business diploma could take you, and where you want to be in 5 years. A huge city like Toronto has a lot of options for business students. On the one hand, this is great, because you'll have many business colleges to choose from. But, on the other hand, it can make finding the right program a little more challenging. You'll find that most business diplomas cover similar skills and knowledge. The courses won't change much, depending on which school you look at. 1. Reputation & track record: How long has the college been in operation? Does it have positive reviews from students and graduates? 2. Employment rate: Check how many business students actually get hired, after taking the training. Also look for general graduate employment rates for the college as a whole. Herzing, for example, has a 100% employment rate for our Business Administration Diploma (based on available graduates for 2018). Overall, Herzing College in Toronto has a 91% employment rate for all students. Be sure to ask for this statistic, for each business college you're considering. This is a very important sign of quality. 3. Internship: Does the business program come with a guaranteed internship? If you don't have any prior work experience, this will be crucial. An internship gives you relevant experience to put on your resume, and connects you with local employers. Some students get job offers from their internship, before they even finish training. 4. Financing and flexibility: Can you attend school full time? Or do you need help creating a flexible course schedule? What about paying for school? Find out how the college will help you arrange and fund your business training. Let's say you've narrowed down your options to a few business colleges. Your next step is to meet with an admissions advisor to learn more, and make your final decision. Never skip this step! Take the time to go through your concerns, and get full information about the business program. Do this for each school you're seriously considering. Your education is the most important investment you'll every make—so it's worth the time to get it right! After meeting with admissions, you'll know which school is the best fit for you. Then, all you have to do is enrol, and complete the program. In less than one year, you'll be in a brand new career. And you won't need a university degree to make it happen! Still have questions about starting business training, or choosing a career path? 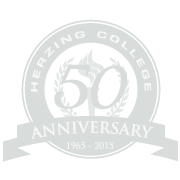 Want to learn more about Herzing's Business Administration Diploma? We're here to help. Use the links below to request free information, talk with an admissions advisor, or browse the program page. Get fast, free information about the business program, delivered straight to your inbox. And admissions advisor with follow up with you, to provide assistance and answer any questions you may have. See a detailed course list, learn more about training and careers, and chat live with an admissions advisor. Get your questions answered, quickly and easily online.